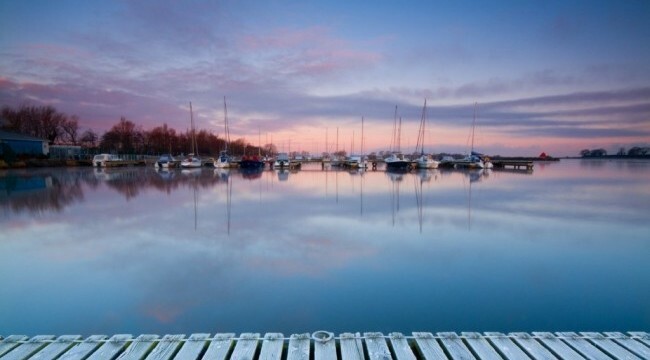 As the largest freshwater lake in the British Isles and the fifth largest in Europe, Lough Neagh is not just steeped in amazing history and folklore, it’s also the home of the largest wild caught eel fishery in Europe. Eel fishing has been a major industry on the lough for centuries – archaeologists have even found evidence of commercial eel fishing dating back to the Bronze Age. 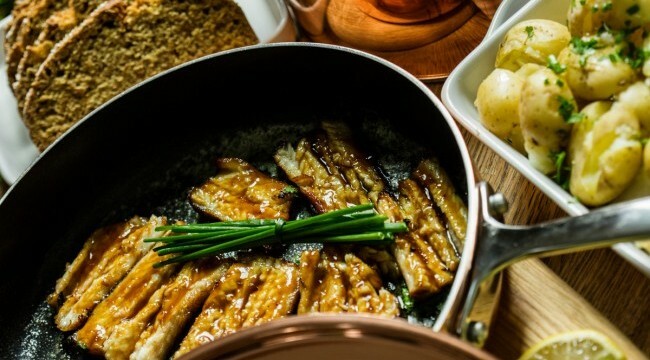 Regarded as the Rolls Royce of the eel, the Lough Neagh Eel’s creamy flesh is a real delicacy. The eels have a rich, pure fish flavour and can be deliciously prepared in many ways. So no wonder they were awarded PGI status in 2011, a recognition of the heritage, tradition and authenticity of the best quality eel available in Europe. The men who fish them use traditional methods passed down through the generations. Most of their catch is sold outside Northern Ireland. Some eels make their way to Billingsgate in London, but the majority go to the Netherlands and northern Germany, where they are smoked. Traders in the Netherlands actually class Lough Neagh Eels as the best in the world for smoking, and at summer fairs across southern Holland they are sold in huge quantities and are highly sought after. Although eel fishing on Lough Neagh began thousands of years ago, it was only in the early 1960s that Lough Neagh Fishermen’s Co-operative won the rights to manage the fishery. It now manages the production of around 400 tonnes of eels annually. Conservation and sustainable practices are key to the co-operative. Because it voluntarily implements restrictions on the number of boats allowed on the lough and the amount they catch, its stewardship of the fishery at Toombridge is regarded as responsible and far-sighted. The fast turnaround operation is so streamlined that eels that caught on the lough in the morning are packed, sent out by air, and can be in Holland by 10:30pm, where they are smoked overnight and on sale the next day. The life of the eel fishermen is tough, but nowadays some 150 fishing families live around the shore of Lough Neagh working to keep the eel among the food-elite of Europe. This dish is from renowned Northern Ireland food broadcaster, chef and writer, Paula McIntyre. 1. Have your fishmonger gut the eels. Cut them in thumb length pieces through the bone. 2. Place in a pan over medium heat – you don’t need to add any oil. Season with sea salt. 3. Cook gently, turning frequently until they are fork tender. This will take about 45 minutes. It’s best to do this in a pan outside as they have a strong smell – or crank up your extractor fan! 4. Boil the cider, honey and vinegar to a runny syrup consistency. When the eels are cooked, drain off the oil. 5. Add the cider reduction and cook, basting all the time, until glazed. For more foodie inspiration visit discovernorthernireland.com for even more great recipes, or join the conversation online with #EnjoyNI16.